The Intermedia team would like to extend a message of love and support to all who have been affected by the shootings at two Christchurch city mosques on Friday. 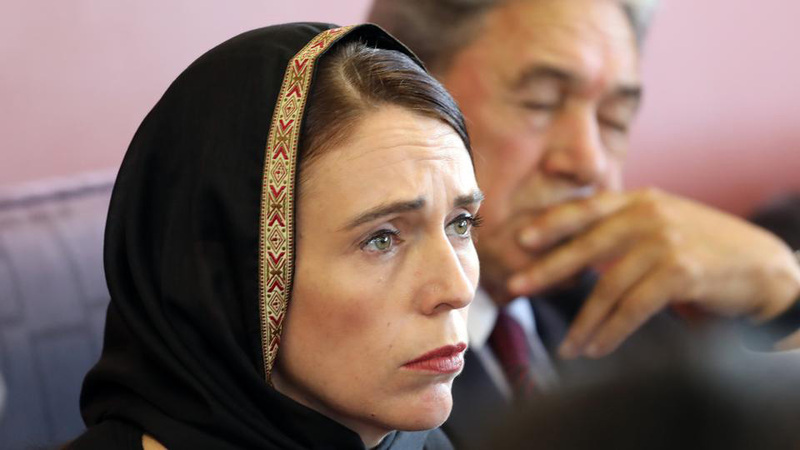 New Zealand Prime Minister Jacinda Ardern. Christchurch workers returning to their jobs this week are being urged to look out for themselves and their colleagues in the aftermath of the mosque terror attack. Those directly affected, and those who have worked tirelessly helping the survivors, will need extra care and support. Planned surgeries were being rescheduled over the next three days to help manage workloads, Frampton said. That would also enable clinical staff who have worked over the weekend to have a break, he said. A Christchurch City Council spokesman said the council was doing all it could to support staff. Counselling would be made available to any staff member in need of help over the coming days and weeks. There was a range of support available across the community, and the Chamber was available to help businesses provide support, she said. The New Zealand Islamic Information Centre has set up a crowdfunding campaign on Launchgood (a crowdfunding platform for Muslim people) with all funds raised distributed to the victims and families affected by the Christchurch attack. All proceeds will go towards helping with their immediate, short-term needs. The New Zealand Council of Victim Support Groups has also set up a crowdfunding campaign on Givealittle. Victim Support says it will use all donations received to the page to provide support and resources for people affected by the Christchurch shootings and their family members. In Māori culture, one of the most important aspects of losing a loved one is the tangihanga or tangi. The word means to weep, and to sing a dirge (a lament for the dead). People travel from all around the country and world to come together at these funerals to share in the grief of loss and memories of those who pass. Christchurch – Thursday 21 March from 8.30pm – 9.30pm at Cathedral Square. Dunedin – Thursday 21 March in the Octagon. Auckland – Friday 22 March from 6pm – 7pm at Aotea Square. Nelson Race Unity Day – Sunday 24 March 24 in Victory Square. Like with any religious, ethnic or age group, there are multiple perspectives and experiences within the Muslim community. Muslims are an ethnically diverse demographic hailing from 80 different countries around the world. They have been in Aotearoa since 1860. Here is a podcast that came out in 2017, but is essential listening for anyone wanting to understand what life is like for a Muslim person living in New Zealand today. Public Enemy is an award-winning four-part podcast series from RNZ looking at the growing Muslim communities in the United States, Australia and New Zealand, and how elections, counter-terrorism policies, war and xenophobia have changed lives. Report Islamophobic and xenophobic comments when you see them. Read this guide from Amnesty International on how to tell someone you love they are being racist. This is a good book for people working through how they might be complicit in white supremacy. You can also check out the NZ Human Rights Commission’s toolkit on their Give Nothing To Racism website. English Language Partners New Zealand has a volunteer teaching programme providing free English lessons to former refugees and migrants. They will train you to provide those who need it with the language skills and confidence necessary to integrate and participate fully in Aotearoa. Contact your local Red Cross and see what they need. Volunteer tasks may include setting up a home for a refugee family, helping them with everyday admin such as enrolments, budgeting and shopping, and generally welcoming them into New Zealand. For the last few months, ActionStation has been researching the links between online hate, online misinformation and the rise in hate crimes. One thing is abundantly clear: Extreme words lead to extreme actions. We need to do all we can to stop both. I support an end to hate speech and misinformation online. There are many other ways you can take action. Find your local Muslim community support group or mosque and reach out to ask how you can help. If you need someone to talk to about grief or trauma you may be experiencing, please call or text 1737. Both are free, confidential and available 24/7. Support the Food Rescue Winter Appeal! Save the date for ‘bigger than ever’ Fine Food NZ!